Spring is a time of change. It’s often said, “April showers bring May flowers.” The weather is getting warmer, the grass is turning green, and the flowers will soon be in bloom. Every spring, we observe Easter. 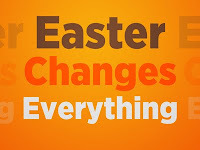 But Easter is a celebration, not of natural change, but of spiritual change. Spiritually, Easter—the message of Jesus Christ’s death and resurrection—changes everything. 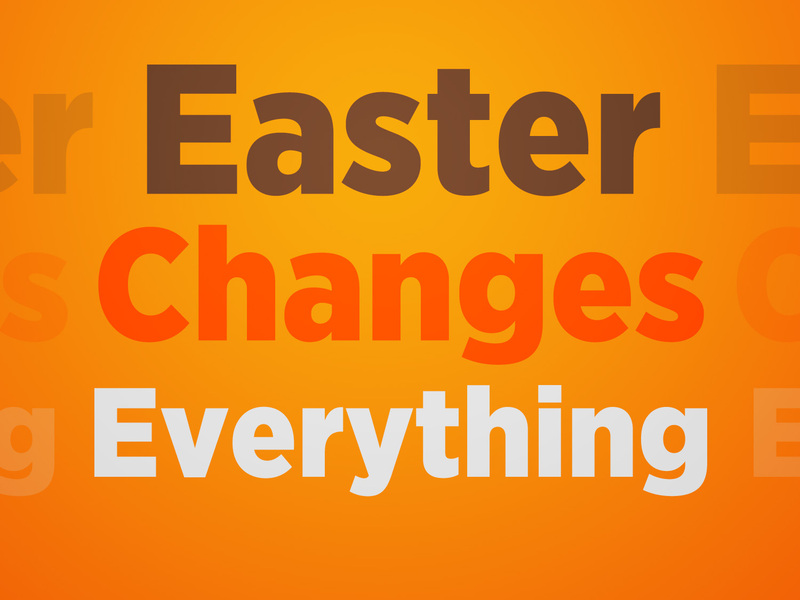 The life of Thomas, one of Jesus’ disciples, was radically changed by Easter. John’s Gospel reveals that Thomas, before the resurrection, was loyal, but pessimistic. Then Thomas (called Didymus) said to the rest of the disciples, “Let us also go, that we may die with him” (John 11:16). Thomas said to him, “Lord, we don’t know where you are going, so how can we know the way?” (John 14:5). But [Thomas] said to them, “Unless I see the nail marks in his hands and put my finger where the nails were, and put my hand into his side, I will not believe it” (John 20:25). A week later his disciples were in the house again, and Thomas was with them. Though the doors were locked, Jesus came and stood among them and said, “Peace be with you!” Then he said to Thomas, “Put your finger here; see my hands. Reach out your hand and put it into my side. Stop doubting and believe.” Thomas said to him, “My Lord and my God!” (John 20:26-28). Thomas applied to Jesus two titles of deity: “Lord” (kyrios) and “God” (theos). The most outrageous doubter of the resurrection uttered the greatest confession of faith in the risen Jesus. First, Thomas may have taken the gospel as far east as India. “There is a considerable amount of ancient testimony that suggest Thomas carried the gospel as far as India. There is to this day a small hill near the airport in Chennai (Madras), India, where Thomas is said to have been buried. There are churches in south India whose roots are traceable to the beginning of the church age, and tradition says they were founded under the ministry of Thomas” (John MacArthur, Twelve Ordinary Men, p. 164). Today, Christianity is India’s third largest religion, with approximately 24 million followers, constituting 2.3% of India’s population (Census of India, 2001). Second, Thomas was martyred for his faith in the risen Jesus. “The strongest traditions say he was martyred for his faith by being run through with a spear—a fitting form of martyrdom for one whose faith came of age when he saw the spear mark in his Master’s side....” (John MacArthur, Twelve Ordinary Men, p. 164). Thomas believed because he had seen the risen Jesus. We are in the second category of people: “those who have not seen.” How can we believe in the resurrection? I have in my library three books: Who Moved the Stone? by Frank Morison, Evidence that Demands a Verdict by Josh McDowell, and The Case for Christ by Lee Strobel. What do these three authors have in common? All three were once skeptics of Christianity, but were converted when they studied the biblical accounts of the resurrection of Jesus. The greatest miracle in the Gospel of John is the resurrection of Jesus. Christianity rises and falls on the resurrection. If Jesus didn’t rise from the dead, the gospel is a lie. If Jesus did rise from the dead, He is Lord. How can we who have never seen Jesus be sure that He really rose from the dead? First, the disciples were transformed. “Perhaps the transformation of the disciples of Jesus is the greatest evidence of all for the resurrection” (John R. W. Stott, Basic Christianity, pp. 58-59). When Jesus was arrested, “All of the disciples deserted him and fled” (Matthew 26:56). But after they claimed that Jesus had risen from the dead, they were changed men. For example, Peter, after the resurrection, said to the Jewish authorities in Jerusalem, “Rulers and elders of the people! If we are being called to account today for an act of kindness shown to a cripple and are asked how he was healed, then know this, you and all the people of Israel: It is by the name of Jesus Christ of Nazareth, whom you crucified but whom God raised from the dead, that this man stands before you healed. He is ‘the stone you builders rejected, which has become the capstone.’ Salvation is found in no one else, for there is no other name under heaven given to men by which we must be saved” (Acts 4:8-12). Could Peter have been any more bold? Remember that this was the man who had denied Jesus three times prior to the resurrection. Now he was speaking to the same people who had been responsible for the death of Jesus. Something had changed him. None of the theories used to deny the resurrection are believable: (1) The disciples did not steal the body. “When therefore the disciples began to preach the resurrection in Jerusalem and people responded, and when religious authorities stood helplessly by, the tomb must have been empty. The simple fact that the Christian fellowship, founded on belief in Jesus’ resurrection, came into existence and flourished in the very city where he was executed and buried is powerful evidence for the historicity of the empty tomb” (William Lane Craig). (2) The disciples did not go to the wrong tomb. (3) The disciples did not see a resuscitated Jesus. (4) The disciples did not hallucinate. Second, liars make poor martyrs. According to church tradition, all of the apostles, except John, were martyred. “Men will die for what they believe to be true, though it may actually be false. They do not, however, die for what they know is a lie” (Paul Little, Know Why You Believe, p. 52). “When a sword is at your throat and you are told to deny the resurrection of Christ or die—what kind of evidence causes you to choose death over life? What prevents you from speaking the simple words, “Well, I never actually saw Him alive. You must be right—He didn’t rise from the dead”? We can imagine that two or even three deluded disciples might be willing to die for mistaken belief in the resurrection of Jesus—but all eleven? Isn’t it reasonable to suppose that at least one of them would cave in when threatened with death? Yet none of them did so. The only explanation must be that, when confronted with death, the minds of the disciples raced back to several rock-solid, airtight reasons for maintaining their unshakeable conviction that Jesus rose from the dead. Without that, what could have kept at least one or two from recanting? Yet none of them ever did so. Why not? Because they not only believed He had risen from the dead, they knew He had. They had spoken to Him. They had seen Him. They had watched Him eat. They had touched Him. They knew” (Tim LaHaye, Jesus: Who Is He?, p. 266). JESUS IS ALIVE. PASS IT ON. Chris Moretz decided to ride out Hurricane Katrina alone at home. After the worst of the storm had passed, his house was flooded and destroyed. Chris needed to let his family know that he was still alive. But they were in Tucson, Arizona, and there was no way to contact them. So Chris painted the following message on the roof of his house: “C. MORETZ IS ALIVE. PASS IT ON.” Also included was the phone number of Chris’s brother Gerard. Finally, Chris’s rooftop message was shown on TV and posted on some websites. Chris’s family began getting phone calls from all over the country that Chris was alive (USA TODAY). Thankfully, because of people like Thomas, the message “JESUS IS ALIVE” has been passed on to us. Now it’s our turn. We must pass it on to others, so that the lives of others might be changed. It was now about the sixth hour, and there was darkness over the whole land until the ninth hour, while the sun’s light failed. And the curtain of the temple was torn in two. Then Jesus, calling out with a loud voice, said, “Father, into your hands I commit my spirit!” And having said this he breathed his last. Now when the centurion saw what had taken place, he praised God, saying, “Certainly this man was innocent!” (Luke 23:44-47). The words of this prayer are taken from Psalm 31. This psalm, written by David, is a psalm of an innocent sufferer. Jesus was the ultimate innocent sufferer. Three times in Luke 23 Pilate declared that Jesus was not guilty of any crime. “I find no guilt in this man” (v. 4). “Nothing deserving death has been done by him” (v. 15). “I have found in him no guilt deserving death” (v. 22). The centurion said, “Certainly this man was innocent!” (v. 47). Jesus was perfect. He never once committed a sin. Yet He was falsely accused (v. 2). He was mocked (vv. 11, 35-37, 39). He was humiliated. He was beaten. And He was crucified. It’s easy to see why Jesus identified with this psalm as His life came to an end. In Psalm 31, David laments about the distress that his enemies are bringing into his life. “You have seen my affliction; you have known the distress of my soul” (v. 7). “I am in distress; my eye is wasted from grief; my soul and my body also” (v. 9). “Because of all my adversaries I have become a reproach” (v. 11). “I hear the whispering of many—terror on every side!—as they scheme together against me, as they plot to take my life” (v. 13). That’s what the enemies of Jesus had done. They had plotted to take His life. But unlike David’s enemies, they had succeeded. So there is also much in this psalm that Jesus could not identify with—especially verse 8: “You have not delivered me into the hand of the enemy” (v. 8). David declared his trust in the Lord and was delivered. Jesus announced His trust in the Lord and died. Psalm 31 has a happy ending: “Love the LORD, all you his saints! The LORD preserves the faithful.... Be strong, and let your heart take courage, all you who wait for the LORD!” (vv. 23-24). The life of Jesus seemed to have an unhappy ending. Was it a mistake for Jesus to put His trust in His Father? No! We know how the story really ends. 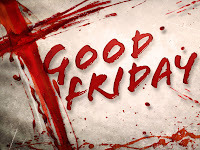 “For the joy set before him he endured the cross” (Hebrews 12:2 NIV). Jesus prayed, “Father, into your hands I commit my spirit” because He knew that after His death would come His resurrection, ascension, and His glorious return. First, I should commit my life to God because He loves me. God is the “Father” of all who put their faith in Jesus. He is a perfect Father who knows and wants what is best for His children. During the final hours of Jesus’ life there was darkness—from noon to 3:00 p.m. But even in the darkness the God who loves us is still present. Second, I should commit my life to God because His plan is always best. God’s “hands” make no mistakes. Sometimes, though, it appears to us that God does make mistakes. Before the resurrection, the followers of Jesus viewed the crucifixion as a mistake. They didn’t understand that the hands of God delivered Jesus into the hands of sinful men. “This Jesus, delivered up according to the definite plan and foreknowledge of God, you crucified and killed by the hands of lawless men” (Acts 2:23). Jesus was delivered into the hands of sinners so that sinners could be delivered. That was God’s plan. There was a happy ending! And there is a happy ending to all who say, “Father, into your hands I commit my life.” Today, Jesus does not regret His decision to endure the suffering of the cross. And if who put your trust in Him, you will not regret that decision when you stand before Him in heaven. You will not regret that decision when He presents you with your heavenly rewards. You will not regret that decision as you live forever in His presence. There will be a happy ending. And I heard the number of the sealed, 144,000, sealed from every tribe of the sons of Israel (v. 4). Chapter 6 ends with the question, “Who can stand?” Chapter 7 gives us the answer: those who are sealed with “the seal of the living God” (v. 2). Those who are sealed are protected from the wrath of God and purchased as the people of God. The seal of God is the opposite of the “mark of the beast” (Revelation 13:16-18). Both seals signify allegiance—either to God or to Satan. There is no middle ground. How should we interpret the 144,000? If we take a literal approach, they are Jewish believers. But if we interpret the 144,000 literally, what about 14:4? “It is these who have not defiled themselves with women, for they are virgins.” If we take a symbolic approach, they are the church. Christians are described as “Abraham’s offspring” (Galatians 3:29). “Many who hold to a pretribulation ‘rapture’ of the church think that the two groups of 7:1-8 and 7:9-17 are different (converted Jewish people still suffering on earth in vv. 1-8, but the raptured church rejoicing in heaven in vv. 9-17). Others think these are Gentiles converted during the tribulation through the witness of the 144,000 Jewish believers who remain on earth (v. 4). Those who do not hold to a pretribulation rapture usually see vv. 1-8 and vv. 9-17 as the same group, with their suffering in vv. 1-8 turned to joy and reward in vv. 9-17” (ESV Study Bible). If the two groups are the same, this vision would be similar to the vision of the Lion and the Lamb. In chapter 5, John heard about the Lion and then saw the Lamb. In chapter 7, John “heard the number of the sealed, 144,000”(v. 4) and then saw “a great multitude that no one could number, from every nation, from all tribes and peoples and languages” (v. 9). Verses 1-8 might be describing an end-time army preparing for spiritual battle. (A census was usually taken before battle.) But victory is achieved in an unusual way. “They have conquered [Satan] by the blood of the Lamb and by the word of their testimony, for they loved not their lives even unto death” (Revelation 12:11). As Jesus conquered Satan through His death, His saints will conquer Satan through their deaths. The greatest witness to the truth of the gospel is the death of a martyr. During the Triumphal Entry (Matthew 21:1-11; Mark 11:1-10; Luke 19:28-40; John 12:12-19), the people in Jerusalem welcomed Jesus as the King of Israel. In the vision of Revelation 7, the saints in heaven praise Jesus as the King of all nations. After this I looked, and behold, a great multitude that no one could number, from every nation, from all tribes and peoples and languages, standing before the throne and before the Lamb (v. 9a). “Hosanna in the highest” (Matthew 21:9; Mark 11:10) means “may those in heaven sing, ‘Hosanna.’” “Hosanna” means “save us.” It expresses both prayer and praise. 1. Jesus is the coming King. “Hosanna to the Son of David!” (Matthew 21:9). “Blessed is the coming kingdom of our father David!” (Mark 11:10). “Blessed is he who comes in the name of the Lord, even the King of Israel!” (John 12:13). “Fear not, daughters of Zion; behold, your king is coming, sitting on a donkey’s colt!” (John 12:15). Jesus went to Jerusalem to die. “[Pilate] said to the Jews, ‘Behold your King!’ They cried out, ‘Away with him, crucify him!’ (John 19:14-15). Jesus will return to earth to reign. “Then I saw heaven opened, and behold, a white horse! The one sitting on it is called Faithful and True, and in righteousness he judges and makes war. [...] On his robe and on his thigh he has a name written, King of kings and Lord of lords” (Revelation 19:11, 16). During the Triumphal Entry, Jesus rode down from the Mount of Olives into Jerusalem. Jesus was on the Mount of Olives with His disciples when He ascended into heaven (Acts 1:12). After the ascension, the angels said to the disciples, “Men of Galilee, why do you stand looking into heaven? This Jesus, who was taken up from you into heaven, will come in the same way as you saw him go into heaven” (Acts 1:11). “In the same way” means bodily and visible. But the angels could also have been saying that Jesus would return to the exact same place. “On that day his feet shall stand on the Mount of Olives” (Zechariah 14:4). 2. Jesus is the victorious King. Clothed in white robes, with palm branches in their hands, and crying out with a loud voice, “Salvation belongs to our God who sits on the throne, and to the Lamb!” (vv. 9b-10). “They have washed their robes and made them white in the blood of the Lamb” (v. 14b). “White robes” and “palm branches” were symbols of victory. The people of Israel were expecting a different kind of salvation. The Triumphal Entry took place at the beginning of Passover week, which was a time to recall the Jewish people’s liberation from Egyptian slavery. Now as Jesus rode into Jerusalem on a donkey, the people expected liberation from Rome’s oppression. 3. Jesus is the Shepherd-King. They shall hunger no more, neither thirst anymore; the sun shall not strike them, nor any scorching heat. For the Lamb in the midst of the throne will be their shepherd, and he will guide them to springs of living water, and God will wipe away every tear from their eyes” (vv. 16-17). To make Jesus the King of your life is often a difficult decision, but it is always the best decision. “And calling the crowd to him with his disciples, [Jesus] said to them, ‘If anyone would come after me, let him deny himself and take up his cross and follow me. For whoever would save his life will lose it, but whoever loses his life for my sake and the gospel’s will save it. For what does it profit a man to gain the whole world and forfeit his soul?’” (Mark 8:34-36). “The purpose of this section is to encourage every believer to persevere in this life, for God will make up to us all that we have suffered. It is strange that many Christians will sacrifice and struggle in their earthly jobs, working always for future financial rewards and security, yet will sacrifice little or nothing for their final eternal rewards. Why give everything for earthly ‘blessings’ that will last only a short time and surrender heavenly blessings that will last for eternity? As Jesus said in Matt. 6:19-24, seek heavenly treasures, not earthly” (Grant R. Osborne, Revelation, p. 334). Nothing on this earth can compare to what is waiting in heaven for those who put their faith in Jesus. Divine sovereignty. Review: God is on His throne (ch. 4); Jesus is on our side (ch. 5). Human depravity. We see man’s inhumanity to man. God permits man’s self-destruction. “O Sovereign Lord, holy and true, how long before you will judge and avenge our blood on those who dwell on the earth?” (v. 10). “How long?” is a common question in Scripture. “How long will you judge unjustly and show partiality to the wicked?” (Psalm 82:2). Habakkuk complained, “O LORD, how long shall I cry for help, and you will not hear? (Habakkuk 1:2). Later, God said, “For still the vision awaits its appointed time; it hastens to the end—it will not lie. If it seems slow, wait for it; it will surely come; it will not delay” (v. 3). In the end, Jesus will judge sinners and vindicate His saints, so take up your cross and follow Him. Many people believe that the “great tribulation” begins with the opening of the first seal. “In those days there will be such tribulation as has not been from the beginning of the creation that God created until now, and never will be. And if the Lord had not cut short the days, not human being would be saved. But for the sake of the elect, whom he chose, he shortened the days” (Mark 13:19-20; cf. Matthew 24:21). “The great day of the LORD is near, near and hastening fast; the sound of the day of the LORD is bitter; the mighty man cries aloud there. A day of wrath is that day, a day of distress and anguish, a day of ruin and devastation, a day of darkness (Zephaniah 1:14-15). “The day of the LORD is great and very awesome; who can endure it?” (Joel 2:11; v. 31). Now I watched when the Lamb opened one of the seven seals, and I heard one of the four living creatures say with a voice like thunder, “Come!” And I looked, and behold, a white horse! And its rider had a bow, and a crown was given to him, and he came out conquering, and to conquer (vv. 1-2). Jesus is in control. He opens the seals. The divine passive “was given” is found in vv. 2, 4, 8). Jesus declared, “When you hear of wars and rumors of wars, do not be alarmed. This must take place, but the end is not yet. For nation will rise against nation, and kingdom against kingdom. There will be earthquakes in various places; there will be famines. There are but the beginning of the birth pains” (Mark 13:7-8). When he opened the second seal, I heard the second living creature say, “Come!” And out came another horse, bright red. Its rider was permitted to take peace from the earth, so that people should slay one another, and he was given a great sword (vv. 3-4). When he opened the third seal, I heard the third living creature say, “Come!” And I looked, and behold, a black horse! And its rider had a pair of scales in his hand. And I heard what seemed to be a voice in the midst of the four living creatures, saying, “A quart of wheat for a denarius, and three quarts of barley for a denarius, and do not harm the oil and wine!” (vv. 5-6). A “denarius” was an average day’s wage for a labourer. A “quart of wheat” was enough food for one person for a day. When he opened the fourth seal, I heard the voice of the fourth living creature say, “Come!” And I looked, and behold, a pale horse! And its rider’s name was Death, and Hades followed him. And they were given authority over a fourth of the earth, to kill with sword and with famine and with pestilence and by wild beasts of the earth (vv. 7-8). When he opened the fifth seal, I saw under the alter the souls of those who had been slain for the word of God and for the witness they had borne. They cried out with a loud voice, “O Sovereign Lord, holy and true, how long before you will judge and avenge our blood on those who dwell on the earth?” Then they were each given a white robe and told to rest a little longer, until the number of their fellow servants and their brothers should be complete, who were to be killed as they themselves had been (vv. 9-11). 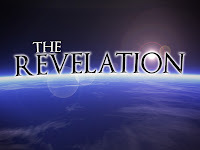 Will the church go through the “tribulation”? Jesus said, “In the world you will have tribulation” (John 6:33). Most of the apostles were martyred. According to one recent estimate, 100 million Christians presently face persecution. Personally, I believe that Christians will go through the “tribulation” and face the wrath of Satan, but not the wrath of God. We should follow Jesus whether our lives are free of trouble or full of trouble. Jesus was willing to die for us on the cross, and we should take up our cross and be willing to die for Him—if necessary. When he opened the sixth seal, I looked, and behold, there was a great earthquake, and the sun became black as sackcloth, the full moon became like blood, and the stars of the sky fell to the earth as the fig tree sheds its winter fruit when shaken by a gale. The sky vanished like a scroll that is being rolled up, and every mountain and island was removed from its place (vv. 12-14). Jesus said, “But in those days, after that tribulation, the sun will be darkened, and the moon will not give its light, and the stars will be falling from heaven, and the powers in the heaves will be shaken. And then they will see the Son of Man coming in the clouds with great power and glory. And then he will send out the angels and gather his elect from the four winds, from the ends of the earth to the ends of heaven” (Mark 13:24-27). IS GOD REALLY FILLED WITH WRATH? Then the kings of the earth and the great ones and the generals and the rich and the powerful, and everyone, slave and free, hid themselves in the caves and among the rocks of the mountains, calling to the mountains and rocks, “Fall on us and hide us from the face of him who is seated on the throne, and from the wrath of the Lamb. For the great day of their wrath has come, and who can stand?” (vv. 15-17). “Who can endure the day of his coming, and who can stand when he appears?” (Malachi 3:2). “Who can stand before his indignation? Who can endure the heat of his anger? His wrath is poured out like fire, and the rocks are broken into pieces by him” (Nahum 1:5-6; cf. Hosea 10:8). “In that day mankind will cast away their idols of silver and their idols of gold, which they made for themselves to worship, to the moles and to the bats, to enter the caverns of the rocks and the clefts of the cliffs, from before the terror of the Lord, and from the splendor of his majesty, when he rises to terrify the earth” (Isaiah 2:20-21). What does the Bible say about God’s wrath? First, God’s wrath is His intense hatred of sin. “The wrath of God is revealed from heaven against all ungodliness and unrighteousness of men” (Romans 1:18; cf. 2:5-8). Second, God is patient and longs for people to repent. God is “slow to anger” (Psalm 103:8). God desires to pour out His love, not His wrath. “The Lord is not slow to fulfill his promise as some count slowness, but is patient toward you, not wishing that any should perish, but that all should reach repentance” (2 Peter 3:9). Third, those who reject God’s mercy will face His wrath. “Whoever believes in the Son has eternal life; whoever does not obey the Son shall not see life, but the wrath of God remains on him” (John 3:36). Right now, the Pittsburgh Penguins and their fans sure wish that Sidney Crosby will be ready to play when the playoffs start. (He’s been out with a concussion since early January.) When you have a guy like Albert or Sidney Crosby on your side, there’s a good chance that your team will win. 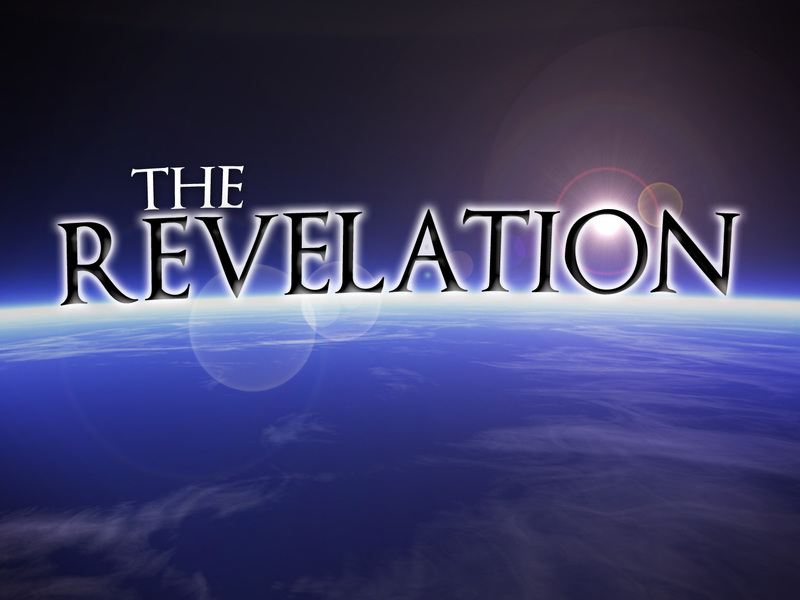 The book of Revelation reveals that the victory of Jesus is certain. Jesus is on our side, so be filled with worship, not fear of the future. Then I saw in the right hand of him who was seated on the throne a scroll written within and on the back, sealed with seven seals. And I saw a strong angel proclaiming with a loud voice, “Who is worthy to open the scroll and break its seals?” (vv. 1-2). The scroll with seven seals contains God’s plan for the future (seven seals, seven trumpets, seven bowls). THE LION IS A LAMB! In verses 5-6, Jesus is symbolized by two animals. First, Jesus is a mighty Lion. And one of the elders said to me, “Weep no more; behold, the Lion of the tribe of Judah, the Root of David, has conquered, so that he can open the scroll and its seven seals” (v. 5). The background to the titles "the Lion of the tribe of Judah" and "the Root of David" can be found in the Old Testament. “Judah is a lion’s cub; from the prey, my son, you have gone up. He stooped down; he crouched as a lion and as a lioness; who dares rouse him? The scepter shall not depart from Judah, nor the ruler’s staff from between his feet, until tribute come to him; and to him shall be the obedience of people’s” (Genesis 49:9-10). “There shall come forth a shoot from the stump of Jesse, and a branch from his roots shall bear fruit. [...] In that day the root of Jesse, who shall stand as a signal for the peoples—of him shall the nations inquire, and his resting place shall be glorious” (Isaiah 11:1, 10; cf. Revelation 22:16). Jesus is both a descendent (“shoot”) of David (Matthew 9:27; 12:23; 15:22; 20:30-31) and the source (“root”) of David’s rule (cf. Mark 12:35-37). Second, Jesus is a slain Lamb. And between the throne and the four living creatures and among the elders I saw a Lamb standing, as though it had been slain with seven horns and with seven eyes, which are the seven spirits of God sent out into all the earth (v. 6). A lion is an animal of strength (“king of the beasts”). A lamb is an animal of vulnerability. The Greek word for “Lamb” is arnion, which means “a little lamb.” This word is found 29 times in Revelation, and only once elsewhere in the NT (John 21:15). The Lamb looked “as though it had been slain.” This represents the crucifixion of Jesus. The sacrificial lambs of the OT foreshadowed Jesus. He is the “ram, caught in a thicket by his horns” (Genesis 22:13). He is the Passover lamb (Exodus 12:1-13; cf. 1 Corinthians 5:7). He is the “suffering servant” who was “led like a lamb to the slaughter” (Isaiah 53:7 NIV). The Lamb was “standing.” This represents the resurrection of Jesus. Following the resurrection, the body of Jesus still bore the scars from His crucifixion. “Put your finger here, and see my hands; and put out your hand, and place it by my side” (John 20:27). Victory over sin and Satan was accomplished through the death and resurrection of Jesus. “He will bruise your head, and you shall bruise his heel” (Genesis 3:15). He conquered not by sword, but by sacrifice. When John the Baptist saw Jesus, he declared, “Behold, the Lamb of God, who takes away the sin of the world” (John 1:29). “Takes away” has two possible meanings. First, "takes away" can mean that Jesus has atoned for the sin of the world. Sometimes it’s said that a person has “atoned for his mistakes” (e.g., NFL quarterback Michael Vick). Jesus didn’t atone for His own sins; He atoned for ours. We call this substitutionary atonement. Second, "takes away" can mean that Jesus will judge the sin of the world. Jesus didn’t live up to most people’s expectations. When John the Baptist was put in prison, it seems even he was not certain that Jesus was the Messiah. (Isn’t the Messiah supposed to set the captives free?) He sent some of his followers to ask Jesus, “Are you the one who is to come, or shall we look for another?” (Matthew 11:3). The people of Israel didn’t think that suffering was part of the Messiah’s job description. They believed He would come as a Lion, not a Lamb. They didn’t understand that He would not appear as a Lion until His second coming. When He returns, the kings of the earth “will make war on the Lamb, and the Lamb will conquer them, for he is Lord of lords and King of kings” (Revelation 17:14). “Worthy are you to take the scroll and to open its seals, for you were slain, and by your blood you ransomed people for God from every tribe and language and people and nation, and you have made them a kingdom and priests to our God, and they shall reign on the earth” (vv. 9-10). “Worthy is the Lamb who was slain, to receive power and wealth and wisdom and might and honor and glory and blessing!” (v. 12). First, He redeemed us. We are redeemed “not with perishable things such as silver or gold, but with the precious blood of Christ, like that of a lamb without blemish or spot” (1 Peter 1:18-19). Second, He will allow us to reign with Him. Is Jesus on your side? (Or perhaps it would be better to ask, are you on Jesus’ side?) Have you put your faith in Him? If Jesus is on your side, have you stopped to truly appreciate what that means? Be filled with worship, not fear of the future.